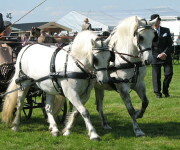 Available in single sets for ponies and horses. Available in single, pair, tandem and team synthetic harness for all types of driving. Available in single, pair and team sets. Available in single and pair Shetland sets only. Available in single Shetland only. By filling out one of our measurement charts we should be able to provide you with the correct size harness for your needs For some animals we need to "mix and match" i.e. 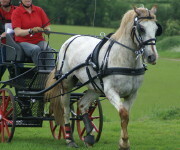 a cob size harness with a full size bridle. We are happy to do this for all the Tedex or Zilco Classic synthetic harnesses. "What happens if it Doesn't Quite Fit?" 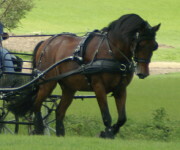 It is not always easy to measure a horse or pony properly, especially if they fidget a lot. If you purchase a Tedex or Zilco Classic set* from us and find you need, for instance, a longer girth lay or a bigger browband, we are happy to swap over parts so you get a proper fit (all you need to cover is the cost of postage + the additional cost (if any) of the larger part). We keep a large number of Tedex and Zilco Classic harness parts in stock so you shouldn't have to wait long to get the part you need. "I've got a 2 wheeled vehicle - which harness is Suitable?" 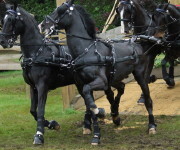 We cannot show all the available Zilco harness parts and accessories on our website but Zilco have now published their complete harness and driving catalogue online. Follow this link to open their catalogue in a new window. Please contact us for price and availability of any items shown.